HOUSTON, April 15, 2019 /PRNewswire/ — A joint venture among Patrinely Group, USAA Real Estate, and CDC Houston today announces the sale to Northridge Capital, LLC of HP Plaza in CityPlace at Springwoods Village. 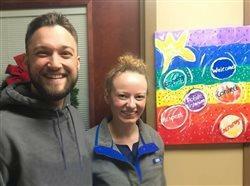 Completed in November of 2018, HP Plaza was developed by Patrinely Group for HP Inc., who occupies 100 percent of the space pursuant to a long-term lease. Located at 10300 and 10400 Energy Drive in Spring, Texas, the property includes two buildings, comprising of 233,516 rentable square feet on floors one through four of Building One and 144,886 rentable square feet on floors one through five of Building Two, totaling 378,401 rentable square feet. The newly constructed property is designed for sustainability and offers efficient, rectangular floor plates, structured parking, and modern interior finishes with exposed ceilings and “office of the future” open workspaces. Jeff Hollinden and Trent Agnew of HFF served as the listing agent for the transaction. CityPlace is a 60-acre, fully-integrated, mixed-use development providing the growing area along the Grand Parkway corridor near the ExxonMobil campus with a new destination of choice, integrating working, shopping and living. When fully developed, the project will include the recently opened, full-service Houston CityPlace Marriott, up to 8 million square feet of Class A office space with 500,000 square feet of integrated retail space and additional luxury multifamily. 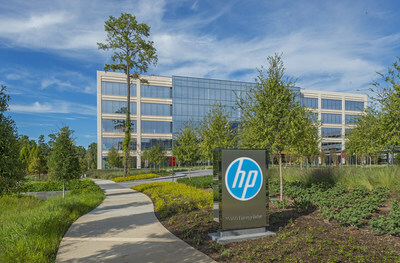 CityPlace is the commercial urban center of Springwoods Village, a 2,000-acre master planned community, and home to four major corporations including HP Inc., Southwestern Energy (SWN), American Bureau of Shipping (ABS) and the future home of Hewlett Packard Enterprise.